To all the visitors coming to Gujarat, the state has a very welcoming phrase- “Aavo Padharo”. This phrase rings completely true because the best thing about Gujarat is that people are friendly, inviting and always welcoming. So much so that you would be enticed to visit here over and over again. Gujarat boasts of rich cultural diversity. It has a blend of art, handicrafts, traditions, and natural beauty. It is also ideal for a vacation with its calming beaches, historic sites, wildlife sanctuaries, hill resorts, and natural grandeur. 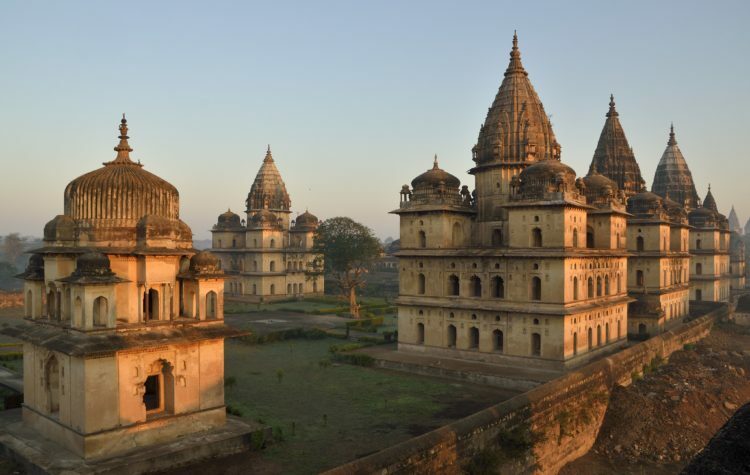 Beautifully sculptured temples showcase the history of the land’s ancient architecture. The art and crafts of the state manifest themselves in the festivals and traditional attire of the state. 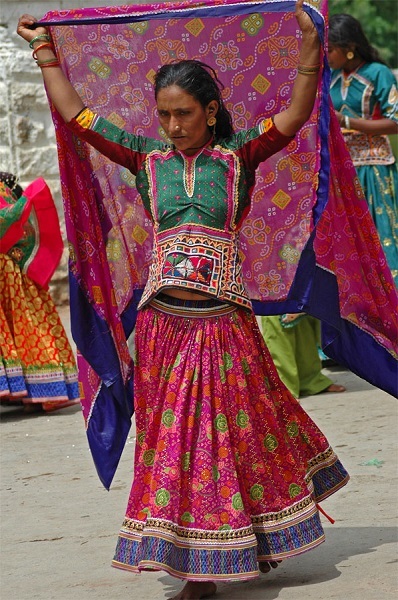 One of the iconic festivals that everyone instantly identifies with Gujarat is Navratri. The celebration is marked with their traditional dance “Garba” where dancers wear specific Garba attire that incorporates traditional textiles and patterns. The local handicrafts have had a significant role during the independence movement of the country. This was a thought process supported by Mahatma Gandhi, the father of the nation, who promoted self-sufficiency and inspired citizens to be independent. He encouraged people to boycott British clothing and weave their own cloth which not only provided employment to the locals but also empowered them to create their own legacy. This self-sufficient approach enabled the locals to produce local weaves like Kutch embroidery, leather work, bandhani, tie-dye, and hand block printing. Each community in Gujarat has its own unique style of designs for weaving, dyeing, and printing. Here, we present a glimpse of just a few of these incredible villages and their various forms of crafts and arts. Jetpur: One of the largest centres for screen-printing, block printing and yarn dyeing workshops in the country, Jetpur is famous for cotton sarees and well-known fabrics khanga and kitenge. Jetpur is a pleasure for textile enthusiasts who can visit and experience the wonderful process of printing and dying. Jamnagar: The city brims with the ornate buildings, a pristine coastal region, and a picturesque lake, located on the coast of the Gulf of Kutch. Here making brass utensils and tie-dye fabrics were the primary sources of income for the locals. Jamnagar was once called “Pearl City” as it was a pearl fishing centre with one of the biggest pearl fisheries in the world. Predominantly, Jamnagar is known for its incredible Bandhani (tie and dye) sarees. 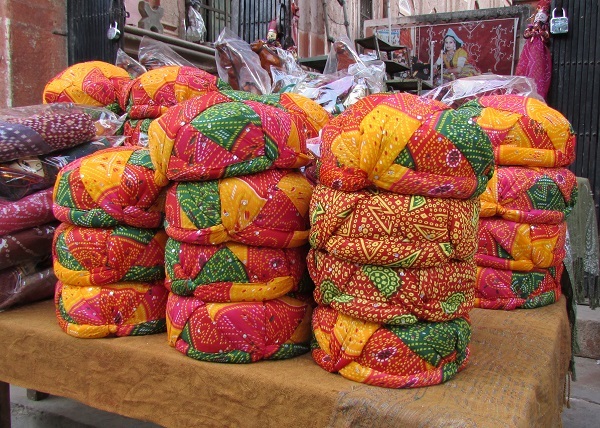 Bandhani is considered the most important crafts in Jamnagar in terms of employment. 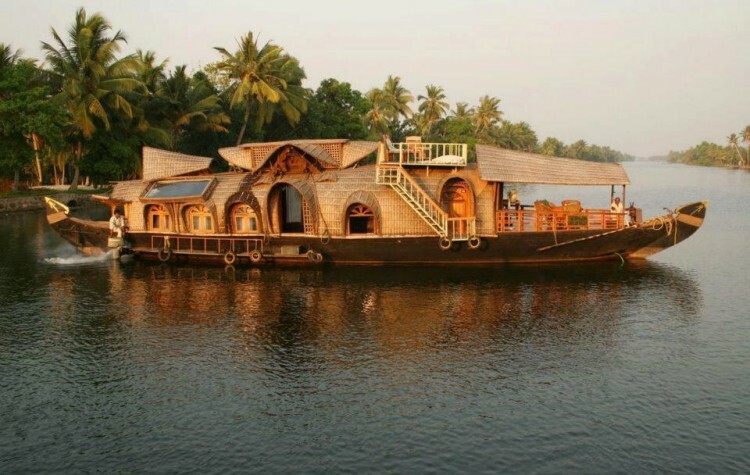 It is believed that this craft originated some 5000 years ago. Dhamadka: Dhamadka is a village in the Kutch region, which is renowned for its Ajrakh block printing using natural dyes. 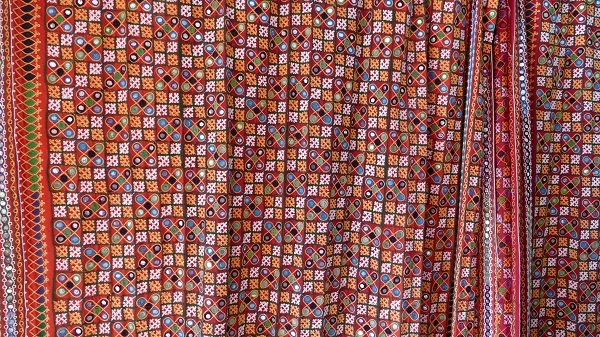 The traditional skill of patterned Ajrakh block printing came to Kutch from Sindh nearly 400 years ago during the time when Muslim Khatris started to settle in the village. Over the centuries, with changing political regimes, cultures, and technology, this traditional art of Ajrakh with its process and comprehensive designing patterns has been living on as an integral part of the community. Dhaneti: Dhaneti is a village in Gujarat which is around 26 km away from Bhuj. The famous handicrafts of Dhaneti are the special and unique Ahir and Rabari embroidery done by the local women. An amazing blend of colours like yellow, red, black, and blue gives the creations a vibrant look. Various patterns inspired by the surrounds are an integral part of the designs. For instance, local flora and fauna especially dancing peacocks. 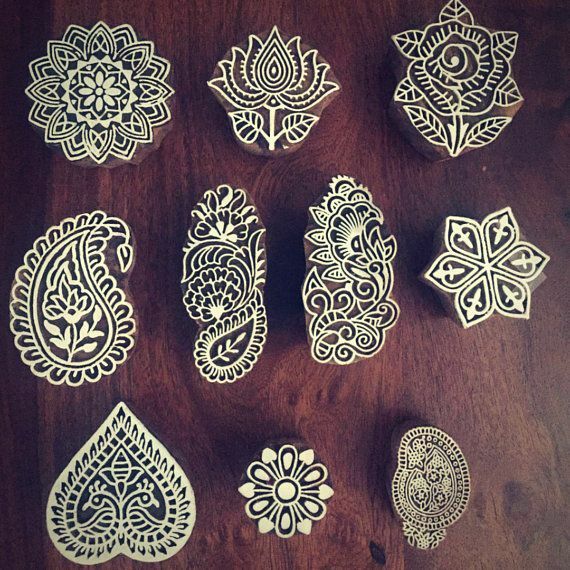 They even upgraded their style by placing small sized mirrors referred to as “aabhla” which are generally placed in purses, shawls, kurtis (long flowing tops), dresses, pouches, mojris (leather slip-on shoes), backpacks and jackets. Perhaps most prominently, aabhlas are used to decorate ghagra cholis (a long skirt with a separate blouse) full of Kutchi work, which they wear during the most awaited and highly celebrated festival, Navratri. Ludiya: This village has beautifully painted circular huts which are organized around temples. From the vibrant ‘kanjari blouse’ for women to carved wooden corners by men, this village has a natural aesthetic sense of style and clothing. The women of the village make beautifully embroidered items and traditional crafts, meanwhile, men make decorative furniture. The houses of this village have a typical structure called ‘bhunga’ with detailed decorations both inside and outside. The outside of the house is decorated with the vibrant motif’s and the interiors have a detailed clay design with mirror work. Ludiya has a combination of art, craft, and great architecture which you’ll see from the way people decorate their homes. Everything here, from household items to clothing, is a work of art. 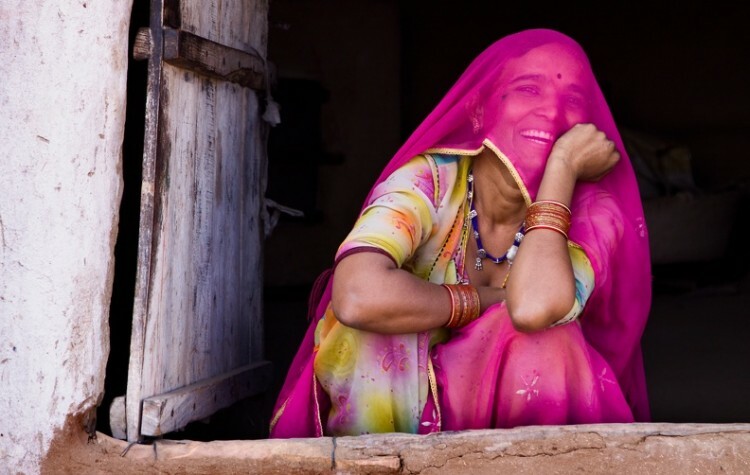 Shrujan: The meaning of Shrujan is creativity in Sanskrit and this village is essentially a nonprofit organization. The craftswomen from the village of Kutch have woven their way from small region to the luxury market. They work hard every day to revive the ancient art of hand embroidery. This organization is a strong link between the artisan communities of Kutch and urban consumers. Shrujan is India’s biggest crafts museum, it been set up to assure that the unique artisan traditions are preserved. The craftswomen of Shrujan create a beautiful range of hand embroidered items. For years now, the work of Shrujan’s has extended to include research and documentation of the diverse embroideries of Kutch and the women who practice these embroideries. Gujarat is a state full of a wide range of traditional art and crafts which you rarely get to see anywhere else in the world. In this state, each village has different handicrafts and each weave of these crafts tells a different story. Travellers can immerse themselves as deeply as they choose to. From workshops with locals to learning the authentic design styles of the respective communities, there’s a lot that a journey through Gujarat via its textiles offers. In a way, while learning to weave the textiles of Gujarat, one can weave a relationship to the ancient tradition and the rich crafting heritage of Gujarat.